Wildfire Pottery is a studio/shop located on the Cabot Trail in Cape Breton, Nova Scotia, Canada. It is owned by Sarah Beck who makes one-of-a-kind pottery sculptures that are raku fired. Sarah (that’s me) finds writing Artist Statements very difficult and doesn’t understand art speak, so don’t look for any mumbo-jumbo here, just the straight ahead goods! She hopes you will gain some insight into the life of a potter and the raku process by reading her postings. She also hopes she will be able to keep it fairly current and not too mundane. Please feel free to comment or come and visit her in real life at the studio between May and October at 44556 Cabot Trail. If its winter she’s in hibernation, but comes out of her den to write on her blog, play her fiddle and drink Laphroaig. A tune Sarah made a few years ago. Her husband Paul named it after her shop. He tends to do that, or they sit for ages unnamed. This was recorded using garageband on Sarah’s iMac and is her first attempt at using the program and at recording herself on multiple tracks. Please keep that in mind while listening! This is also her first attempt at referring to herself in the third person. She finds it challenging. 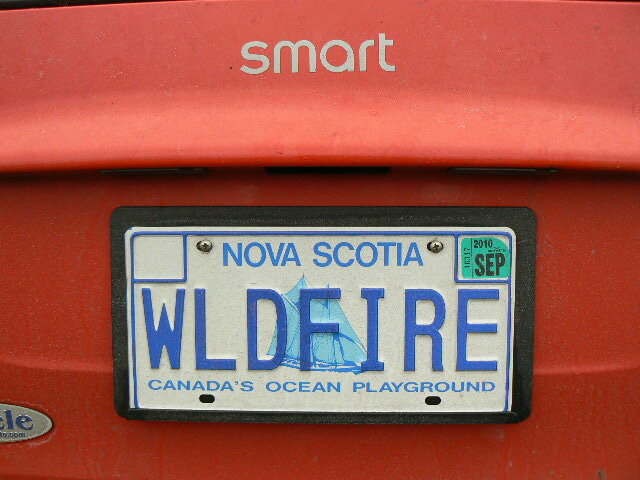 Wildfire: the car is a smart fortwo. 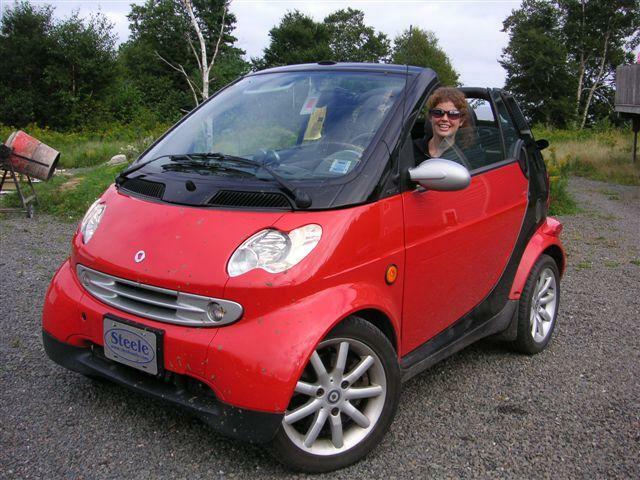 It runs on diesel, gets about 400km/ 22L tank and can go over 130 km/hr, not that Sarah ever drives that fast. She’ll let you know this spring how it does in the Cape Breton winter. For the winter season Wildfire: the car, is sporting Bridgestone Blizzaks and heated seats and mirrors. Update: I said I’d let you know how the smart did in the winter. It was ok. I didn’t get stuck, had to tak a few runs at our uphill driveway sometimes, but that’s the same with the Jetta. However because the car is not that heavy its hard to “feel the road” so driving in snowy and windy conditions can sometimes feel scary. However the car didn’t ever slide around or actually do anything, I just felt I might not have the control I needed if something did come up. So the car now has a winter shelter and will be hibernating until the spring! Summer driving, its the best!! I love the automatic roof!! It is nice able to see you on the web. keep updating! ‘Wildfire’ is sounds good. That tune reminds me days of North Shore..I haven’t played that tune for a while, will play today just for fun! Happy New Year. I look forward to checking in through 2009 to see how your pottery year progresses and if daffodils grow up around your new shop. Today I’m back for a wee blog visit, reading comments, reading about raku, reading about bears and listening to your fiddle tune. Started to check out your fave potters list and what a delight, each site popped up automatically! Can’t say no to an extended visit when you make it that easy. Good to hear your music and just visit your site. I’m dashing out to a a potters’ meeting. Bowls are packed and delivered. Could add that time in too!!! Hi Sarah, I am working for the North Sydney festival called bartown and we are looking for donations. The gifts will be given as door prizes during a songwriter’s circle we are sponsoring. Anything you could offer is great. On another note I really miss the boxing but like yourselves always find myself very busy this time of year. Take care and hope to catch a performance of yours as I am off on week-ends. Hey Sarah! I love your work, and I really admire you! I love pottery to so Im doing a project based on your work, its about famous canadian artists of today! Thanks for the compliments! I hope your project goes well, if you have any questions I’ll try and help. I have been on your website several times as an admirer, I will be opening a store in Lunenburg on June 1st and would love to have some of your lovely art in my store. Have you ever wholesaled any work. I would be happy to come see you to discuss. Your work is amazing….I am a big Raku fan and have been for years.